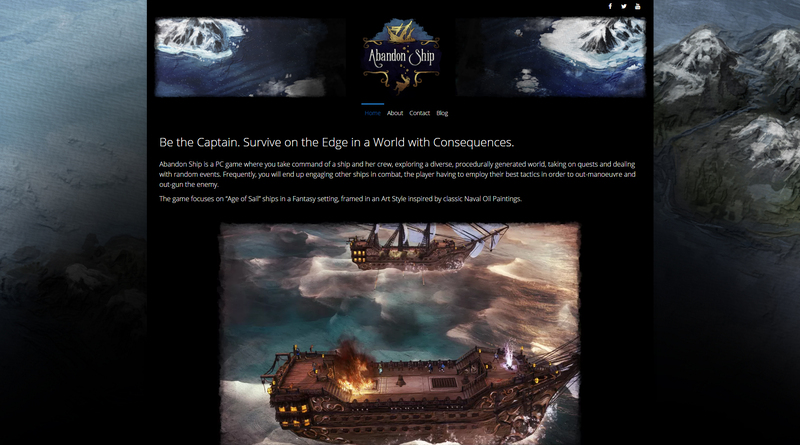 “From a ‘Proper Job’ to Indie” is a series of articles that describe what it was like going from Full Time employment into the world of Indie Development. Last time I described why I left a good job where I was happy, and risked it all to go Indie. 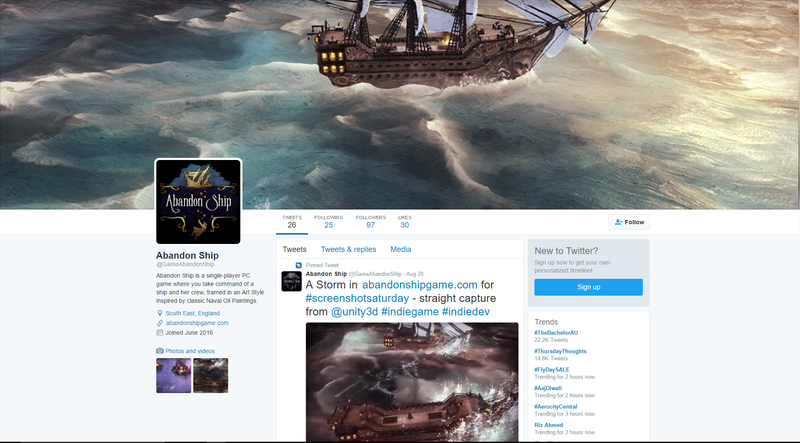 This time, I talk about what I did in that crucial opening period of Abandon Ship’s development. For people about to go Indie, this can be a useful checklist. For others, you can see how much non-game-making goes into making Indie games! You’re only going to be more busy in the coming months, so clear your checklist up-front. You’ve all heard the horror stories. Swathes of work lost from unexpected crashes and hardware failures. 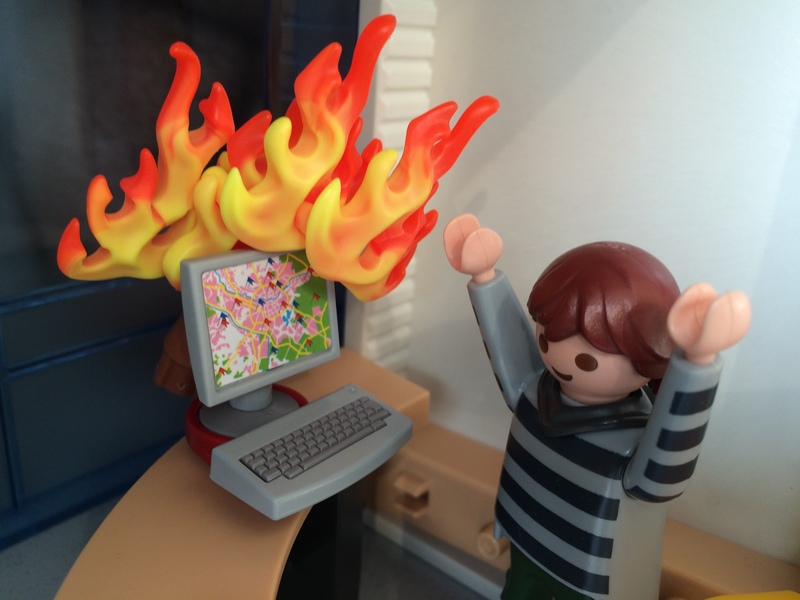 Don’t let this be you, so get some source control. At most start-up scales, there are free solutions. We use Perforce, which is free for up to 5 users. Perfect! Even if your personal PC is your server, make sure you perform offsite backups at least once a week. 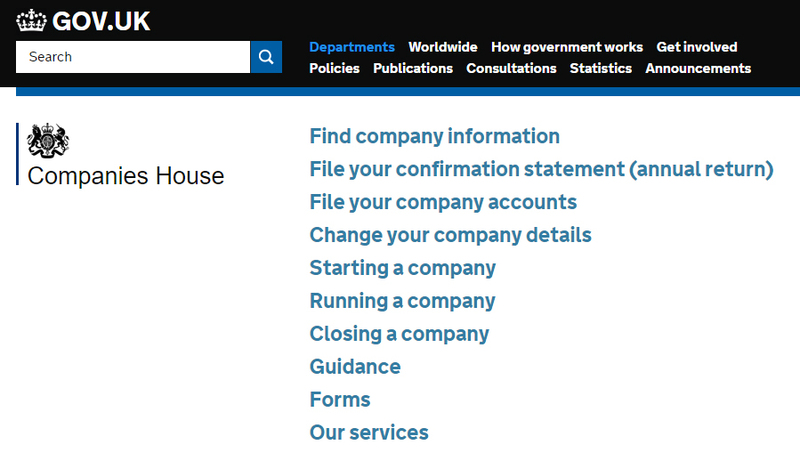 The Companies House website, where you’ll initially register your Company. Don’t spend too long thinking of a name if you don’t already have one. 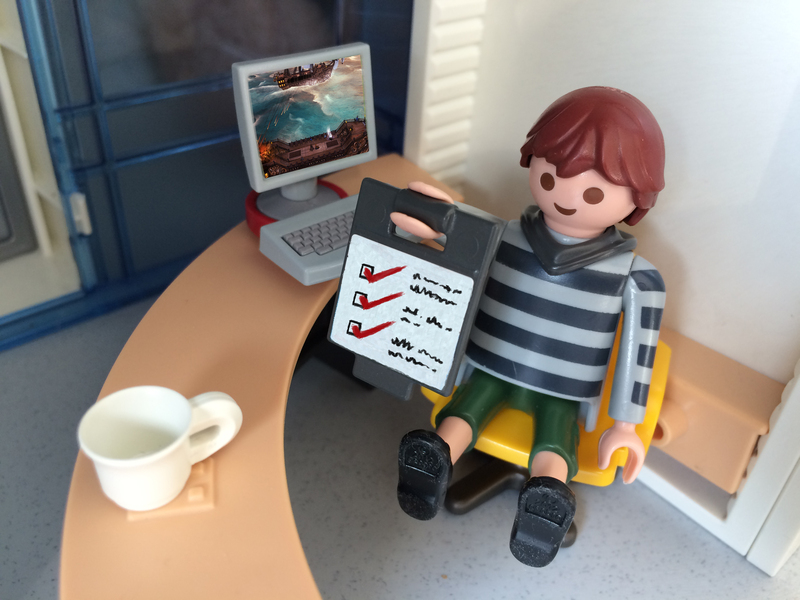 Unless you’re a team of superstar developer’s your first game will be the focus, not the company. Pick something you like, a name you’ll be happy with in years to come and go with it. For us (being based in the UK), we registered through Companies House. 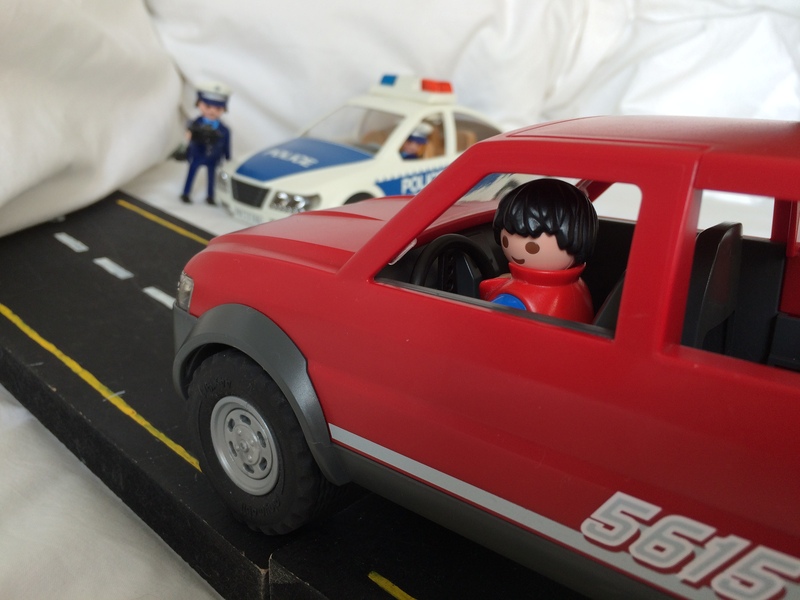 Make sure the company is a Limited one (Ltd in the UK or LLP in the US) for maximum protection. Once you have your company registered, you can get a Business Account. A lot of High Street Banks offer a business service, and most are free for a period (usually at least 1-2 years). You’ll need to have an interview with a Business Manager to get set up. If you’re going to pay contractors, pay them from your Business Account. If you work from home, a portion of your utility bills can be claimed. Driven somewhere for a conference? Log the mileage. 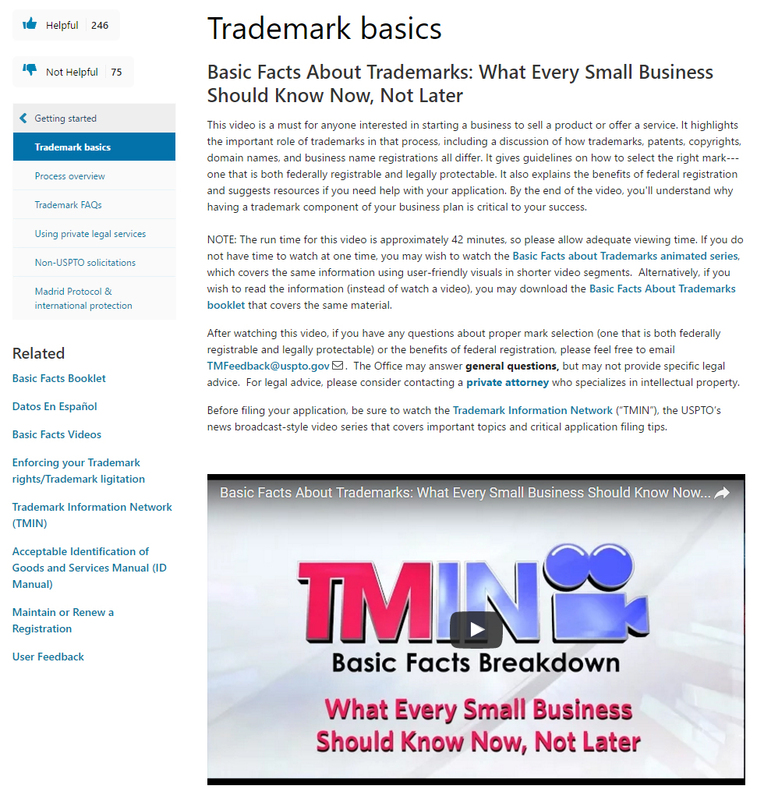 The USPTO website has a lot of very helpful instructional videos. If you’re set on your game name, protect yourself by registering it as a Trademark. Start with the country you’re based in, and for most people that should be sufficient. In the UK, the Intellectual Property Office offers a good service to check there are no issues with your trademark application before you commit the full fee. If you wish to go further, you can register individually on a country-by-country basis (warning; the USPTO can be daunting to apply to), or via services that handle regions such as the EU (EUIPO) or Worldwide (WIPO). Bear in mind there is a cost per territory, so it starts to build up quickly. The latter two services in particular can get expensive, so weigh up the pros and cons. At the minimum, register in the country you live in. When you register with Steam you’ll need to fill out a W-8BEN form with your Unique Tax Reference Number (which if you’ve been following the steps so far, you’ll already have). In the UK, most people are paid through the PAYE system. The tax year ends on the 4th April, so if you left your “proper job” before then (like I did at the end of November 2015) then you will probably be entitled to a tax rebate. Remember this, because it could be a nice little windfall (and is simple to do).